Faculties: USP Lee with an adjacent minimum security satellite prison camp. 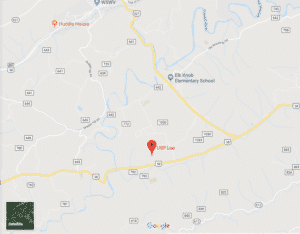 Location: USP Lee is located in southwest Virginia in Lee County, 8 miles east of Jonesville. Background: United States Penitentiary Lee was completed in August 2001 and began receiving inmates in 2002. Native American artifacts such as arrowheads and pottery have been found on the prison grounds and are believed to date as far back as 10,000 years. On February 25, 2008, inmate Edward Porta apparently walked away from the minimum-security camp. Porta was convicted of defrauding the U.S. Department of Agriculture of more than $400,000. He was recaptured in May 2016. There have been numerous incidents of violence at USP Lee, including several homicides. Notable inmates include former assassin for the now defunct Medellin Drug Cartel Dandeny Munoz-Mosquera (serving a life sentence for blowing up a jetliner), hitman for Loz Zetas Gerardo Castillo-Chavez (serving a life sentence for racketeering, drug trafficking conspiracy, and weapons charges), former US Air Force intelligence analyst Brian Patrick Regan (serving a life sentence for attempted espionage), and Somali pirate leader Mohammed Modin Hasan (serving a life sentence for attack on an American warship). Housing: Inmates are housed one and two-person cells. The camp has dormitories. Health Services: USP Lee inmates receive initial routine health screening shortly after being admitted. Health examinations, dental care, specific preventive health examinations (e.g., cancer screening), routine care, medications, vaccinations, and specialty care. Inmates can request to be seen by a provider for sick call. Appropriate medical care will be provided by institution health services staff. Emergency medical care is available 24 hours a day. Psychology Services: USP Lee offers screening, assessment, and treatment of mental health problems, individual and group counseling, self-help and supportive services, and referral to Health Services for medical treatment of a mental illness. Additional programs and groups are available for anger management and stress management, as well as crisis intervention. The facility also houses the Challenge Program for inmates who are prone to substance abuse, mental illness, and violence. Residential Drug Abuse Program (RDAP): USP Lee does not have a Residential Drug Abuse Program (RDAP). It does offer Alcoholics Anonymous (AA), Narcotics Anonymous (NA), the Non-Residential Drug Abuse Treatment Program (NR-DAP) and a Drug Education Class. Education Services: USP Lee offers GED instruction and an English-as-a-Second Language (ESL) program. Classes are separated into Advanced GED, GED, pre-GED, and Special Learning Needs levels. Parenting classes are also available. High school diplomas and post-secondary programs are available through paid correspondence programs. Advanced Occupational Education: USP Lee offers advanced occupational education in Basic Home Construction and Residential HVAC. The camp offers Horticulture/Gardening. Vocational Training: USP Lee does not offer any vocational training programs, aside from its advanced occupational education programs. Apprenticeship: USP Lee does not offer any apprenticeships programs. Library Services: USP Lee inmates have access to the TRULINCS Electronic Law Library. A leisure library is also available where fiction and nonfiction books, newspapers, and magazines can be checked out by the inmate population. UNICOR: The USP Lee UNICOR facility produces clothing and textiles. Commissary: Each inmate is allowed to spend $180 bi-weekly. All items count against this limit, including Special Purchase Orders (SPO’s), with the exception of kosher meals, stamps, over-the-counter medications, and copy cards. Commonly purchased items include drink mixes, candy, food, snacks, and clothing. Recreation Services: Recreation programs at USP Lee include indoor and outdoor activities, individualized arts and crafts programs, and intramural team sports such as softball, basketball, soccer, and volleyball. Physical fitness and weight reduction programs are also available for inmates. Hobby craft programs vary from institution to institution. They typically include activities such as painting, leather, art, and drawing.